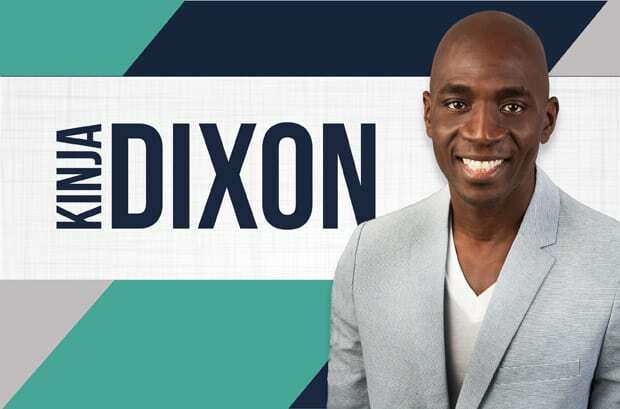 Kinja Dixon knows that any great act starts with a tiny seed of positivity, and tending to it with love. He’s committed to sowing all the seeds he can by providing others with the tools they need for their lives to blossom as well. After finding success in sales at a young age, Kinja was able to retire at 34 and devote himself entirely to helping others achieve personal success – by their own definition. Kinja’s expertise in the business world allows him to offer helpful advice to students who are unsure of what the future holds for them after graduation. He shares with his audience the ups and downs of life after college, and how to transform each moment into important lessons for growth. As an advocate for making dreams a reality, Kinja’s keynotes stress to students the importance of pushing past failures and creating their own paths to happiness. Purchase a copy of Kinja’s book on Amazon. Imagine having no set identity. Believe it or not, embracing this concept saved Kinja Dixon’s life. In 2009 at 30 years old, he began his complete life Re-Creation. First, he reidentified with his attachment to food and 125 pounds of excess weight has been shed thus far. Completely letting go of his celebratory ritual of drinking alcohol followed. The mixture of new habits rippled into his professional development as a sales executive. As his desire to compete with others lowered, his performance increased. In October 2013, he retired from his 14 years sales career after winning the Gold Stevie(stevieawards.com) and the ARDA(arda.org) Awards and was given the official title as that year’s number 1 sales executive in the world. 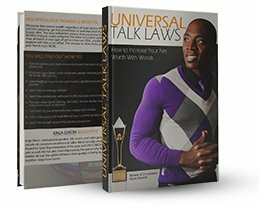 In January 2014, he released his first book, Universal Talk Laws and has been used by individuals, companies, organizations and colleges to share his take on how to win the battle against ourselves in every aspect of our existence. Continued emotional, physical and financial mastery is his sole focus and in this stage of his life, he thrives on helping others along their journeys. An interactive training course (Dixonondemand.com) and a theatrical experience (Re-Creation Encounter) have also been newly developed tools used to help thousands of seekers who want their intentions and actions to speak louder than their words. In August 2018, with the inclusion of 21 of his most transformative clients’ stories, he has released a life mastery manual titled, Re-Creationism, The Art of Shaping Reality (Re-Creationism.com). Birth. Pre-School. Kindergarten. Elementary School. High School. College. Career. Retirement. Death. During this life course, when do most of us lose the excitement needed to maintain peak performance? Hundreds of college students have told Kinja the pressures set by parents, teachers, deadlines, and post college debt does have an impact on their optimism levels. Coping mechanisms are formed and by the time work life starts, several college grads end up dealing with the ongoing pressures of new responsibilities in ways that aren’t in alignment with their fullest potential. This myth mixed with the pressures of life originally blurred Kinja’s vision as well. His set goal was a career, a high yearly income and corporate recognition from his real estate sales career. 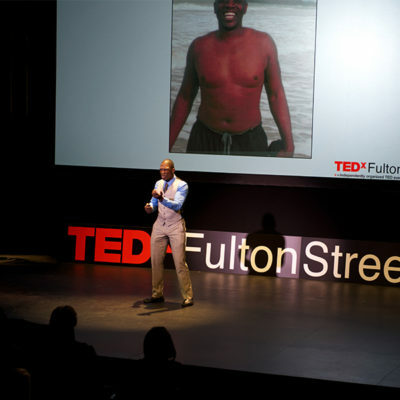 In 2009, he was forced to hit his Life Reset Button and completely rearranged his life’s priorities. Many students across the globe have taken his misconceptions and layered unbreakable foundations for themselves. Service Before Self, Inclusion or Delusion, and Labels Set Limits are just a few of the applied mindsets that have been interwoven into his experiences with college campuses. The Art of Re-creation takes Kinja’s 20 years of career experience and shares practical strategies on how to live progressively before, during and after graduation. In this interactive keynote filled with scene reenactments, activities and many chances for audience self reflection, Kinja shares the steps towards his original self-imprisonment and the subsequent transformation. Each person leaves with a customized road map of their strengths, areas of opportunities and methods to press their Life Reset Buttons. Finally, for the student leaders, officers and professional staff looking to continue the conversations within their teams, Kinja’s second book, Re-Creationism, The Art of Shaping Reality is a great accessory to add to their organizations tool kit. how to use a three-step approach to bettering these aspects of their lives. Life has become a journey of striving for the “perfect life,” as defined by others. Movies, TV shows, advertisements and even parents and friends are in our heads, influencing the direction we take. When you find your own passions and purpose, life is no longer an outward journey, but rather, one of self-exploration that will lead to self-awareness and self-creation that is the foundation for an authentic and successful life. Kinja talks about how he ran toward a life defined by others and found himself to be ‘successful’ by their standards, but it didn’t make him happy. He was pressured into believing success equaled wealth and a title as the World’s Top Salesman. Looking in the mirror he saw a 300-pound, functional alcoholic struggling with an understanding of who he really was. In this keynote, Kinja shares the five steps he took on his journey of personal reflection and re-creation. He provides examples of how individuals and organizations blend their personal beliefs, passions and professional traits that have helped lead them toward their own purposeful and successful lives. With this interactive keynote, students will explore the connection between emotional intelligence, mindfulness, compassion and the unlimited supply of personal power that we all have within. how to understand and utilize personal strengths and beliefs moving forward into their professional lives. Your college years will no doubt contribute to some of your greatest and happiest memories. Walking across the stage on Graduation Day ends one chapter in your life, but it also leads you to the beginning of new possibilities that can be just as amazing. Understanding that this transition holds so many possibilities is so important for today’s graduates on their road to fulfilment and success. How does the traditional college life realistically prepare a student for a bright future and what is the definition of an amazing life? What the statistics have repeatedly shown over the years is that formal education often steers graduates into setting destination-based success goals. Their college experience revolved around increasing grade point averages and chasing after a particular status or title within their campus organizations. The transition from college to the workforce leads them to the next chase. Graduates may aim for the highest paying job, the nicest car or the biggest house, but is this what an amazing life is all about? The reality is that only 39 percent of college graduates who are employed full-time are engaged in the workplace. What if the same type of drive used to have the highest GPA could be transferred into everyday life before, during and after graduation? What if life goals exceeded a position in a company, particular type of relationship or monetary compensation? In this interactive keynote, Kinja describes how you can graduate every day of your life by turning the word “GRADUATION,” into a 10-step process that will create a daily journey of celebration. how to adjust perspective towards the value and potential of daily life. 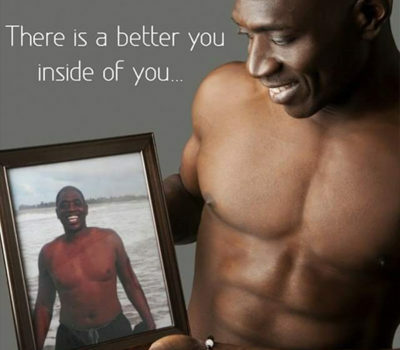 Kinja Dixon was devastated when he lost his first job due to downsizing. He spent four years thinking this was his dream job, only to find those dreams crashing around him. This is what many college graduates say they had experienced when they joined the workforce. Preparing and planning for the future is important, but sometimes it feels like doors are being slammed in front of us when we are not able to navigate our journey the way we had hoped. These may be the doors to the job we want, the grad school we need or the relationship we seek. When faced with obstacles, we can decide to retreat into our little world of defeatism and the negative spiral that follows OR we can choose to see the window opening behind us. In this keynote, Kinja speaks about how he fell victim to depression, substance abuse and weight gain when the door closed on him and how he found a toolkit to build his window. how to evaluate and set personal expectations and understanding the importance of acceptance, commitment and determination.